The European Handball Federation and Infront, exclusive media and marketing partner for the EHF EURO events, are set to raise the bar in terms of digital services at the Women’s EHF EURO 2018. The 2018 edition, to be played from 29 November to 16 December, includes a number of digital activations designed to increase reach and awareness of the tournament, bringing handball fans closer to the action. This year's competition will welcome 16 teams competing across 17 days of action and supporters not lucky enough to be able to attend games in person can still experience the action online. For the first time the EHF will be able to instantly generate and distribute professionally edited videos on a large scale using artificial intelligence with the introduction of start-up WSC Sports. This content, along with short-form and behind-the-scenes videos, will also be shared with the new EHF influencer network, expanding the reach beyond EHF's owned channels. Fans will be able to keep up with the action on the move via the official website (ehf-euro.com) and also with the new Women's EHF EURO 2018 app. It includes all key information about the tournament, access to live scores, match action and multiple fan engagement tools. The app can be downloaded for Android and iOS. The result of these initiatives means Infront and the EHF have built an enhanced digital strategy to increase reach and awareness for the tournament. Martin Hausleitner, Secretary General of the European Handball Federation, said: “The Women’s EHF EURO 2018 marks further significant progress in the digital capabilities of the EHF. "The introduction of artificial intelligence technology is a first in handball and will enable us to reach and engage many more fans through personalised video content. Julien Ternisien, Infront Senior Vice President Summer Sports said: "Our commitment to handball and the EHF was made clear with the extension of our agreement earlier this year to 2030, and we were keen to begin working alongside the federation on taking the sport to the next level as soon as possible. Broadcast agreements have been secured with over 65 broadcasters with TV distribution into over 135 countries guaranteed. Infront is also responsible for host broadcasting arrangements at the event. The key markets covered include: Norway, Sweden and Finland through Nentgroup, France through beIN Sports, Germany through sportdeutschland and Eurosport, Austria through ORF and Denmark through TV2 and TV3. TF1 will also show matches in France. The EHF’s own OTT platform ehfTV.com will also show every match live and on-demand with full English comment. The increase in reach through traditional and digital media will bring even more exposure to the Women's EHF EURO 2018 partners. 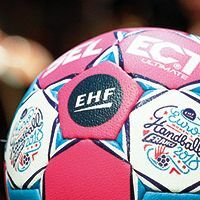 For the first time at a Women's EHF EURO, LED boards will be available behind each goal, offering a new and dynamic opportunity for sponsors to reach handball fans around the world. The Women’s EHF EURO also offers an opportunity to further promote the women’s game. The event sits at the heart of a special campaign called ‘Handball Inspires Generations’, which launched at the final tournament draw. The campaign features several top players and has the objective to show and empower female leadership and competence as well as inspire players for top level handball and their post-career within the sport. On the final weekend there will also be special events focused on women’s handball with the ‘EHF Women’s Handball Convention’ and ‘Grassroots Handball Marketplace’ taking place at the Maison du Handball, the new headquarters of the French Handball Federation. Note: Broadcaster list is subject to change and additions including sub-licensing agreements in selected territories.